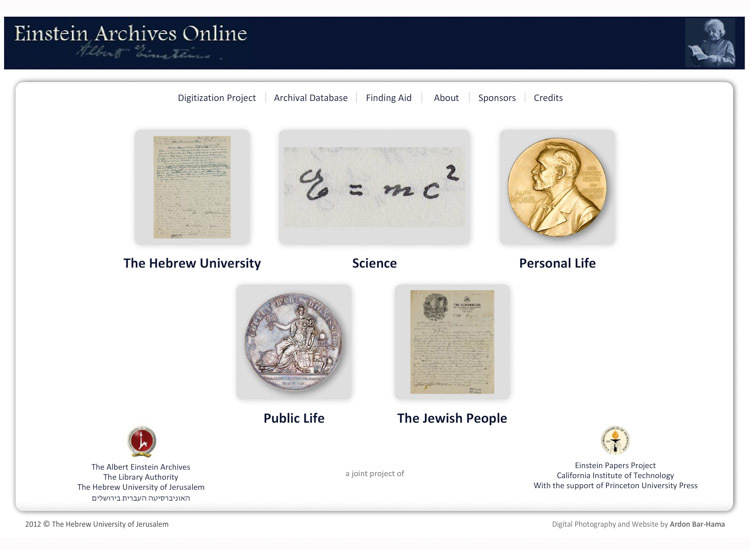 The Albert Einstein Archives includes Einstein’s scientific writings and correspondence, non-scientific writings and correspondence, family letters and travel diaries. The highlight of the collection is the article in which Einstein first introduced and explained the formula E=mc² and the final draft of the General Theory of Relativity. The entire archive of 100,000 original documents was digitized by Ardon Bar Hama over a 10-month period in 2012. Over 80,000 records of documents (some original, some copies) can now be accessed online with a user-friendly interface. The system offers easy navigation, displaying the search results and additional information such as filters, related topics and similar items.